Each week, our campus Chabad family comes together for spirited Shabbat dinners and fascinating conversation. Why stop there? Browse jLearn minicourses and let’s continue the discussion! For details and to register please visit www.jLearn.org and select UCLA from menu. 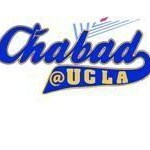 Chabad at UCLA's jLearn program is a great way to further your Jewish knowledge base! See www.jlearn.org for options and to register. Weekly doze of inspiration and kosher food right in the middle of campus!